To establish an education and training programme for the reduction of CT radiation doses and to assess this programme’s efficacy. Ten radiological institutes were counselled. The optimisation programme included a small group workshop and a lecture on radiation dose reduction strategies. The radiation dose used for five CT protocols (paranasal sinuses, brain, chest, pulmonary angiography and abdomen) was assessed using the dose-length product (DLP) before and after the optimisation programme. The mean DLP values were compared with national diagnostic reference levels (DRLs). The average reduction of the DLP after optimisation was 37% for the sinuses (180 vs. 113 mGycm, P < 0.001), 9% for the brain (982 vs. 896 mGycm, P < 0.05), 24% for the chest (425 vs. 322 mGycm, P < 0.05) and 42% for the pulmonary arteries (352 vs. 203 mGycm, P < 0.001). No significant change in DLP was found for abdominal CT. The post-optimisation DLP values of the sinuses, brain, chest, pulmonary arteries and abdomen were 68%, 10%, 20%, 55% and 15% below the DRL, respectively. 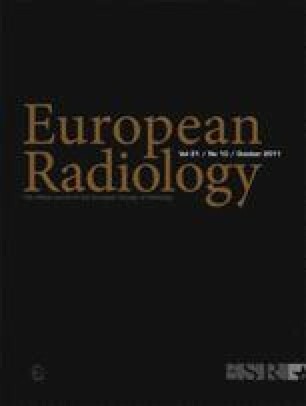 The education and training programme for radiological institutes is effective in achieving a substantial reduction in CT radiation dose. The authors thank the members of the participating radiological institutes for their great effort.